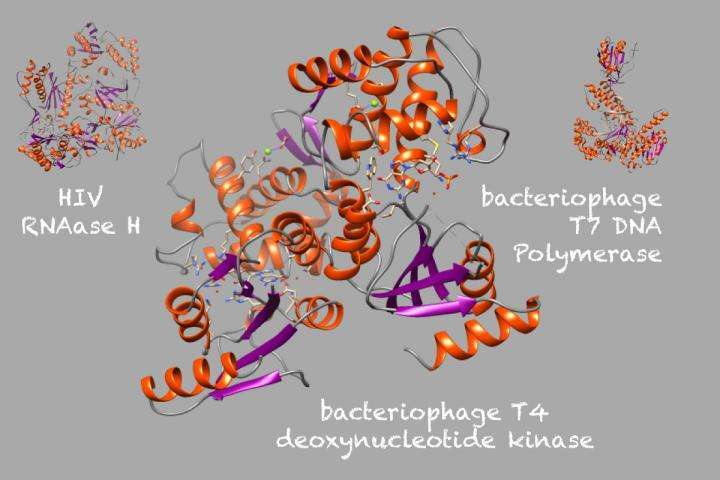 Protein folds are better markers of ancient events because their three-dimensional structures can be maintained even as the sequences that code for them begin to change. Viruses perturb protein folding and their proliferation links viral microRNAs to all pathology when nutrient-dependent microRNAs can no longer control the proliferation of viruses via RNA-mediated events. Thermodynamic cycles of protein biosynthesis and degradation link the light-induced de novo creation of nucleic acids to RNA-mediated gene duplication and RNA-mediated amino acids substitutions that organize the genomes of all living genera in the context of their organism-level thermoregulation, which is perturbed by viruses. The idea that viruses are alive is another ridiculous misrepresentation of everything known to serious scientists about the biophysically constrained nutrient-dependent protein folding chemistry and the physiology of reproduction in all living genera. That viruses are non-living has been the scientific consensus since their discovery. However some scientists are beginning to question that based on new research. Are they right? Only more research can answer that question. "Are viruses alive? Until very recently, answering this question was often negative and viruses were not considered in discussions on the origin and definition of life. This situation is rapidly changing, following several discoveries that have modified our vision of viruses. It has been recognized that viruses have played (and still play) a major innovative role in the evolution of cellular organisms." I'm not arguing viruses are living things but that it is a worthwhile debate in light of research findings. The worthwhile debate includes what is known about top-down causation and the nutrient-dependent physiology of reproduction, which is perturbed by the effects of viruses on protein folding. The claim that viruses are alive can then be placed into the context of the question "What is Life" and Schrodinger's claims about the sun's biological energy compared to de Vries definition of mutation. Since viruses are consistently linked to mutations and pathology, it may be harder for anyone who is not a biologically uninformed science idiot to link viruses -- as a manifestation of life -- to anything but pathology and death. If you can link viruses to life instead of pathology and death you could claim that viruses are alive, but your claims would still be suspect until you showed how they led to some benefit in a living organism. 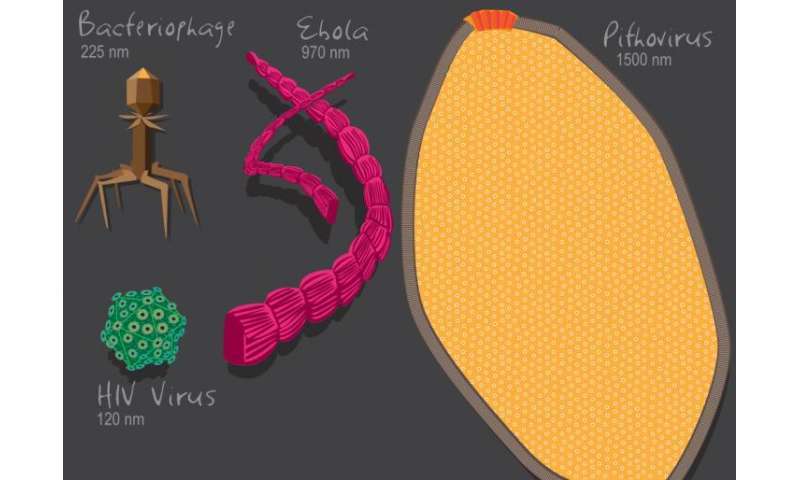 Instead, these researchers suggest viruses merit a place in the "tree of life." I think, like everything in life, it isn't as simple as a binary "is alive/is not alive." Viruses are just in a grey area between really crazy complex self-reproducing chemical reactions, and what most people would think of as "life." "Bacteria can be friends and foes—causing infection and disease, but also helping us slim down and even combating acne. Now, a new study reveals that viruses have a dual nature as well. For the first time, researchers have shown that they can help our bodies fight off invading microbes." Beneficial effects of human viruses. Exactly! I remember that when I was in elementary school we learned that viruses are neither "dead" nor alive. Why has that changed? Excerpt: The complexity of this design forced neo-Darwinian theorists to claim that viruses may merit a place in the "tree of life." They missed the opportunity to tell us about the role that viruses play in perturbing the complexity of niche construction and causing all pathology. What we now have is an example of neo-Darwinian nonsense applied to the question Schrodinger posed in "What is Life." This may not be their final answer, but it appears that theorists are willing to claim that life was created by viruses. Schrodinger linked the anti-entropic epigenetic effects of the sun's biological energy to life as he knew it. Neo-Darwinian theorists and Big Bang cosmologists didn't like that idea. Surprisingly, it has taken more than 70 years to come up with what they may think is a better idea: A link from viruses to life -- despite everything known to serious scientists about top-down causation. If the current idea about how life started is true, then some RNA-protein globs were in a puddle somewhere replicating RNA and translating nucleic acids to amino acid chains. I would expect that early on in this stage of chemical replication the first RNA-protein globs wouldn't care what they were replicating or translating as long as it "fit". Eventually, some globs got really good at replicating and find that preserving its ability or improving on it requires that it make a copy as close to itself as possible. To do that effectively it would have to become more exclusive in what it copied and built. What about those other globs that our excellent replicator was copying before by accident? In order for those to continue to exist and to take advantage of our excellent replicator's machinery, there would be pressure to commandeer this machinery. The "excellent, exclusive replicator" becomes cellular life and the pirating globs, viruses. Then, viruses are living fossils. Just a hunch. "The data suggest "that viruses originated from multiple ancient cells ... and co-existed with the ancestors of modern cells," the researchers wrote. These ancient cells likely contained segmented RNA genomes, Caetano-Anollés said." "The viral mode of life therefore originated more than once in evolution but always before the divergence of modern cells from a cellular stem line of descent." Panpychism...All type of organics at every level per scale from bacteria, proteins, molecules, atoms, have some type of limited awareness or limited intelligence. Virus's included. Serious scientists have more than a simple-minded idea to use as the basis for the experimental evidence they must present to convince other serious scientists that their evidence has more explanatory power than someone's idea. The common origins are consistent with Schrodinger's claims in "What is LIfe." Viruses have since been linked from entropic elasticity to genomic entropy in the absence of nutrient-dependent microRNAs that control viral replication. ...he still can't get his fold phylogenies to match the standard tree. @hc: Define "awareness" or "intelligence". There is now a biology based theory of consciousness that is based on awareness and how it is processed. (Graziano's attention scheme theory.) Mammals can do it, and avian dinosaurs have similar structures, so it likely is an evolutionary old trait. Unless you can match its predictions (and admittedly, it has passed few tests as of yet), it is the winner. ...there is no one specific current idea of life emergence but rather two main theories ("soup" vs "battery"). a biology based theory of consciousness that is based on awareness and how it is processed. (Graziano's attention scheme theory.) Mammals can do it, and avian dinosaurs have similar structures, so it likely is an evolutionary old trait. Unless you can match its predictions (and admittedly, it has passed few tests as of yet), it is the winner. The honeybee model organism links quantum physics to learning and memory via nutrient-dependent pheromone-controlled RNA-mediated cell type differentiation, which links the development of consciousness to ecological, social, neurogenic, and socio-cognitive niche construction, with examples from flies and octopuses. I just love a good scientific explanation of some phenomenon. This is not such an example. Please provide an example of a scientific explanation that you love so that others can determine whether or not you are a biologically uninformed science idiot. Excerpt: "...what potential observational or experimental evidence is there that would persuade you that the theory is wrong and lead you to abandoning it? If there is none, it is not a scientific theory." It is an interesting question, if viruses belong on the tree of life. The 'tree of life' is a diagram that shows how organisms evolved over millenia. If a virus does not have an 'ancestor' what would it look like on the tree of life? It would probably start in one animal and then perhaps spread to others. But, because viruses have a tendency to pick up and swap genes from each host they infect, very quickly the view becomes muddled. Suppose a virus originated in a bat then stole a gene from a pig, and later another one from a dog, and discarded two bat genes. Does the virus' branch on the tree of life then start at the bat, the pig, or the dog? If a virus can be shown to keep a core of enzymes and transcription factors for long periods of time, then perhaps it can be put into a branch of its own, even though we might never learn where that branch stems from. Viruses are not alive because they have no matabolism and ... emerged after original sin after God expelled Adam and Eve from the Garden of Eden. Ren let me ask you a serious question: do dogs have souls? After all they are domesticated like us, have faith that they will get fed every night, and they have names. "According to KRQE Channel 13, Holly Salzman sought court aid in coparenting her 11-year-old sons with their father, from whom she is divorced. The judge ordered a set of 10 sessions with counselor Mary Pepper. "She was, she says, so "offended and disgusted" that she stopped attending the courses altogether, at which point the court intervened and took away her sons. This is where the difference between a mutation and an amino acid substitution starts to eliminate neo-Darwinism and theories about mutations and the evolution of biodiversity across millions to billions of years, which makes nonsense out of any tree of life representations. Can any on the brilliant theorists here explain the difference between viruses that perturb protein folding and amino acid substitutions that stabilize the organized genomes of all living genera? In this case, the use of definitions might be beneficial. It would show how de Vries definition of mutation led to the invention of neo-Darwinism by biologically uninformed science idiots. "Pepper frequently handed Salzman religious tracts and gave Salzman a "homework" assignment, to write an essay titled "Who is God to me?" "When Channel 13 spoke to Pepper about blending religion with court-ordered sessions, she said, "I'm a private business that people decide to come through or not. The particular person there was interested in analyzing her belief system." "She has been holding the sessions in rooms at the public library, but charging clients for the sessions, which is illegal. "She had actually explained to me that you need to be discrete about it because I'm not allowed to exchange money in the public library. So I had to kind of hide the money and then literally pass the money under the table," Salzman said." When Channel 13 pressed Pepper about these red flags, she ended the interview. Viruses are fundamental to the evolution of the tree of life. So, far from having a place on it, they are actually everywhere on that tree. Viruses perturb protein folding in all cell types via the accumulation of viral microRNAs that eventually leads to loss of function and loss of genes or the creation of pseudogenes. The claim that that gene loss or the creation of pseudogenes due to viruses is not consistent with the claims of biologically unformed science idiots who want others to believe that viruses are fundamental to the evolution of the tree of life but refuse to make claims about how perturbed protein folding is fundamental to the evolution of the tree of life. Where is the nonsense coming from about "Viruses are fundamental to the evolution of the tree of life." "he idea that viruses are alive is another ridiculous misrepresentation of everything known to serious scientists"
And Intelligent Design *isn't* ridiculous to serious scientists? Please. Thanks for asking. Obviously it is not. Did a biologically uninformed science idiot or anonymous fool tell you something different than what has been conveyed by Greg Bear? http://rna-mediat...eg-bear/ "The Darwin Code: Intelligent Design without God"
It's been one month since PZ Myers failed to address my comments on the importance of the octopus genome sequencing to understanding biologically-based cause and effect. Why isn't little PeeZee slamming down the creationists after they reported the link from virus-driven entropic elasticity to genomic entropy, which was first put into the context of Greg Bear's science fiction novels in 1985, 1999 and 2003? You seem highly motivated to lie about this. Are you being paid to do that? The journal article was concurrently published as an award-winning book chapter in the "Handbook of the Evolution of Human Sexuality." Biologically uninformed science idiots like "Torbjorn_Larsson_OM" must continue to increase the amount of effort they put into discrediting me at the same time that scientific support for my model of biologically-based cause and effect overwhelms them. Having failed to link atoms to ecosystems, while instead touting the pseudoscientific nonsense that they were taught to believe in, the comments of fools are useless -- except to prove they are fools. Serious scientists have never needed proof that theorists are fools. The proof is in their ridiculous theories. The alive/not-alive debate is pretty pointless. It adds no information to the thing being discussed. Might as well classify things as "pretty" and "not pretty" - that'd be about as useful. If biologically uninformed science idiots integrate the living (cells) and the non-living (viruses) into the the context of their ridiculous theories, there is no need to explain how the light-induced de novo creation of nucleic acids and RNA-mediated top-down causation link the epigenetic landscape to the physical landscape of DNA in the organized genomes of all living genera via receptor-mediated events. Simply put, if viruses cannot be linked from mutations to all pathology, they can be included in links from mutations and natural selection to the evolution of biodiversity. Theorists and other biologically uninformed science idiots can then continue to tout pseudoscientific nonsense and avoid the issues that came to light when Koonin admitted to Suzan Mazur that the role of viruses had not been considered in any aspect of neo-Darwinian theory. Do not pretend that alive/not-alive debate is pointless. The end of the debate is acceptance of creationism. The end of the debate is acceptance of creationism. Mainstream science/protein folding is not discussed here because it is considered to be pseudoscience. Yes, all aspects of nutrient-dependent RNA-mediated protein folding, which is perturbed by viruses that ultimately defeat the molecular mechanisms of DNA repair, are considered to be non-mainstream science. Evolutionary theorists have convinced biologically uninformed science idiots that ridiculous theories are mainstream science. Many people are biologically uninformed wiki-idiots. See the phys.org definition of PSEUDOSCIENCE. In the United States, mainstream science is pseudoscience. It was invented by population geneticists based on de Vries definition of "mutation." Nowhere else in the world is a definition used to invent a theory based on assumptions about the definition. Serious scientists in the USA and everywhere else are laughing at theorists all the while they continue to fear the predictable outcome of the theorists' ignorance. "Few people are as adamant or ignorant. His excuse is lost faith due to war-time trauma, which also sometimes reinforces the beliefs of others in creationist science linked to God. Even when others do not understand creationist science they realize that it attests to the fact that viruses perturb protein folding and that can thus be linked to all pathology in all individuals of all living genera."